The Santa Cruz 70 WESTERLY going upwind with her X-Drive main and Tape-Drive No. 2 genoa. A big boat makes a great test platform for sails. Stuart and Joy Dahlgren are the owners of UK Sailmakers Northwest as well as the Santa Cruz 70 WESTERLY, which they use for testing sail construction, sail design and sail longevity. The latest test they are conducting is involves their massive the carbon X-Drive main — it is the largest X-Drive sail made to date. “What better way to test a new product than on my own boat, “ said Dahlgren. “Problems show up much faster in big sails than they do in small sails.” Dahlgren had such confidence in X-Drive that he built a 1,095 sq. ft. mainsail for his Santa Cruz 70. That same main just nished its second race to Hawaii after many other area races over the past three years. The picture above is WESTERLY on her way to finishing first in PHRF Class 1 and first overall in the 2018 138-mile Swiftsure Lightship Classic race. The photo below is the same X-Drive main at the start of the 2018 Pacific Cup that goes over 2000 miles from San Francisco to Hawaii. 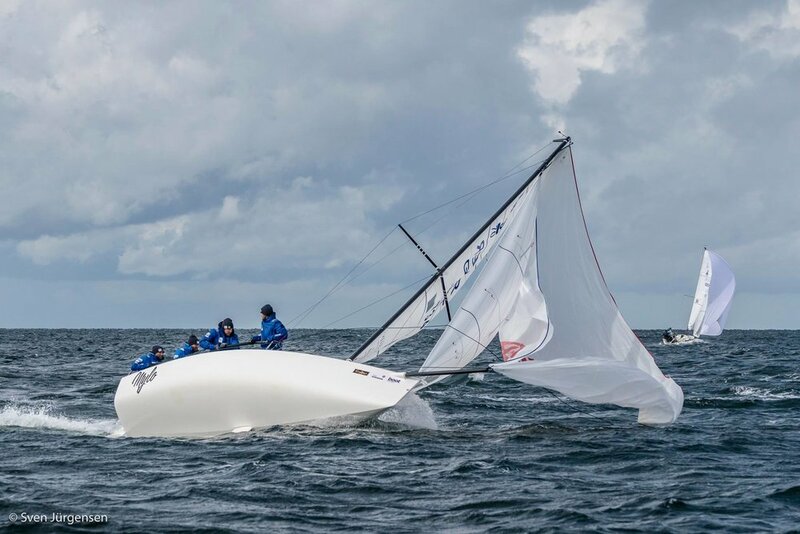 “I’ve proven to myself that X-Drive sails are a viable option for racing and cruising sailors on a budget, no matter what size the boat,” reported Dahlgren. WESTERLY leaving San Francisco on her way to Hawaii in the 2018 Paciific Cup flying her No. 4 genoa and full X-Drive carbon main. 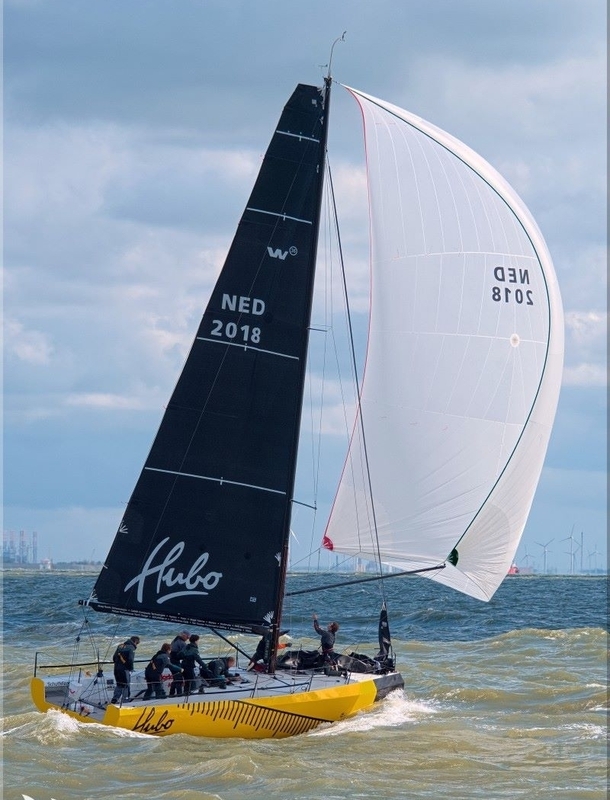 Congratulations to Erik Van Vurren and his crew on the bright yellow Waarschip 36 HUBO for winning Class 2 of the Dutch IRC Championship and for being crowned the overall Dutch IRC Champion. The regatta was sailed in the end of August at Breskens Sailing Weekend. 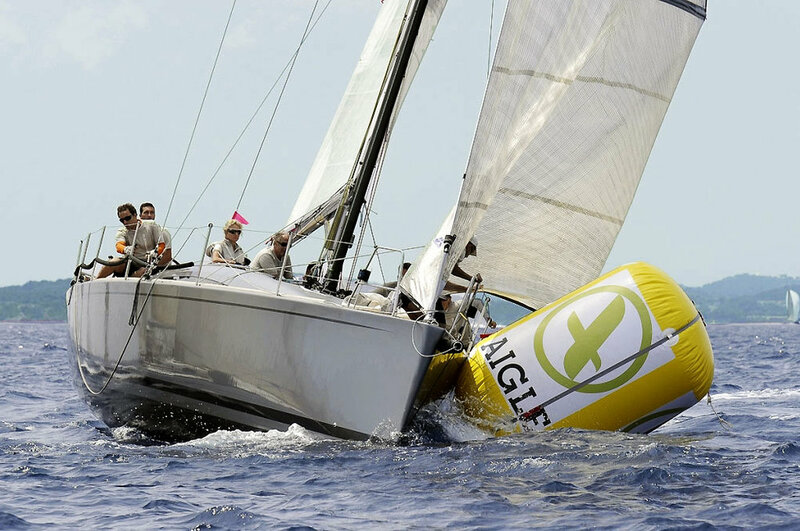 In the mostly heavy air regatta, HUBO beat the second place finisher, the Archambault 35 AMARIS 2, which also had a full inventory of UK Sailmakers Titanium sails. HUBO was built and optimized for the Offshore Worlds sailed in July. After that series, her owner, top Dutch sailor Erik Van Vurren wrote, "Our journey with UK Sailmakers has been truly special. Not shying away from innovation, we designed a sustainable racer for the World Championship 2018 requiring an equally bold approach from our sailmaker. 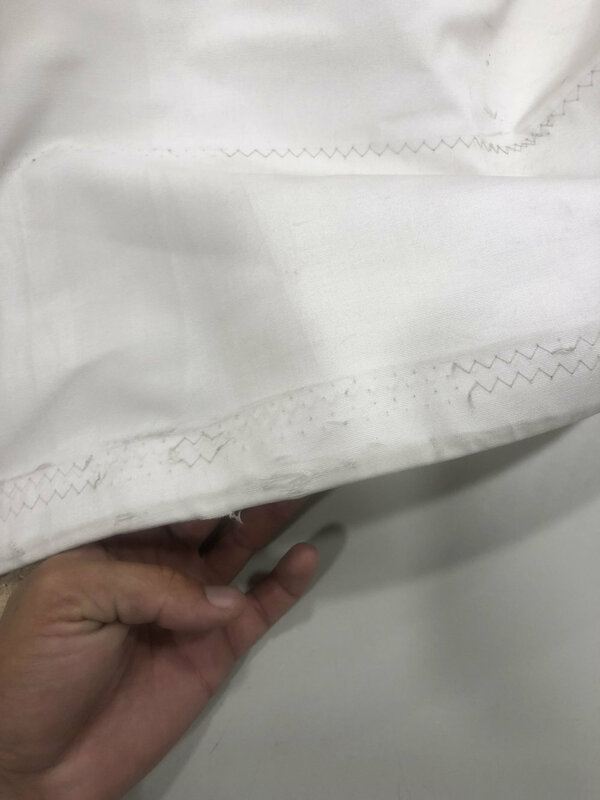 Our wishes were their command and in the unbelievably short period between launch and the Worlds, when we were tuning for speed, the designers of UK Sailmakers just knew how to translate those findings into seamlessly designed sails with the right cloth. The team calls the A0 a “secret weapon” for a reason. Perfect teamwork and we're impressed with the knowledge in-house which we have stretched to the max. The attention to detail shows me, a professional sailmaking craftmanship at its finest." J/33 SIRIUS sailing with her new X-Drive Carbon main. Charles Taus bought an X-Drive genoa for his J/33 SIRIUS in 2017 from UK Sailmakers New York and noticed an immediate jump in performance. But during 2018 he noticed that his boat wasn’t keeping up with other boats that had new X-Drive sails. So he bit the bullet and ordered a new main that got delivered in 10 days for two important regattas in August. The following are his glowing comments. Taus wrote these comments after winning his class in the Governor’s Cup on western Long Island Sound, just outside of New York City. UK Sailmakers Norway’s customers won two of the three fully crewed divisions in the first half to the 2018 Pantanius Shetland Race. Leg one was 194-miles from Bergen, Norway, across the North Sea to Lerwick Harbour, in the Shetland Islands. 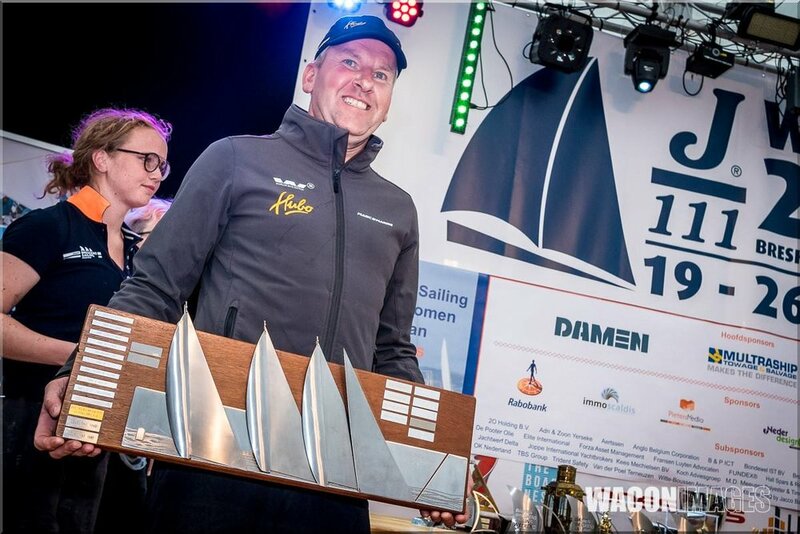 Per Aga’s Sun Fast 37 SKARVEN won 10-boat Class 2 (for the slowest fully crewed boats) and Stig Waagbø’s X-442 FURIA won 9-boat Class 4 (for the largest fully crewed boats). UK Sailmakers Norway’s Mehmet Taylan happily reported that both boats have full UK Sailmakers inventories that his loft designed and made. FURIA III flew a new X-Drive No. 1 genoa (pictured). Congratulations to Martin Menzner and his crew for winning the J/80 one-design class at Kiel Week for the eigth year in a row. This year the class drew 18 boats. Congratulations to BSC-Team Segel-Bundesliga for finishing third in the 45-boat fleet. After nine races, they had they had the second lowest score, but after the throwout, they fell to third. The Team: Tobias Feuerherdt, Lukas Feu, Tom Ti Pe and Marc-Daniel Mählmann. Sven Jurgensen photos. Battling it out through the awards ceremony.